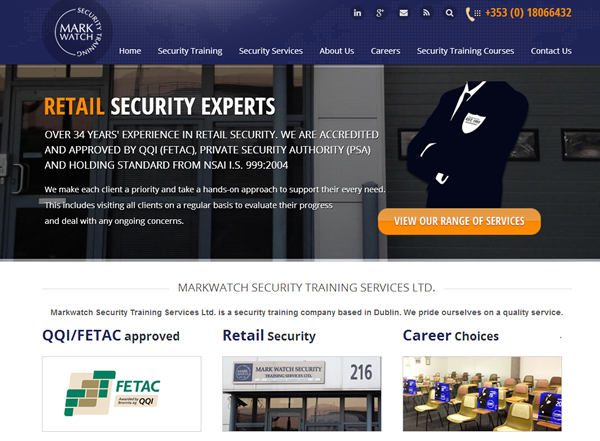 MarkWatch.ie is the re-vamped website of Markwatch Security Training Services, a leading security training firm with over 34 years’ experience. 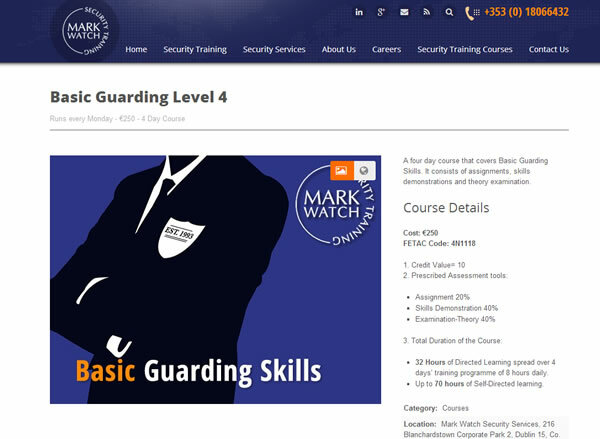 Markwatch Security Training Services wanted to get more leads via their site. It’s a highly competitive market, and they wanted a website to match their professionalism and excellent service. Are you looking to complete a QQI/FETAC Security Training Course? Markwatch Security Training Services Ltd. is accredited and approved by QQI/FETAC. They offer courses in various security-related disciplines.